Logan has now started exploring the world of juices and it has only really taken this long as I would rather he drank water to protect his little teeth but since he is getting older I thought it was only fair for him to have a taste. He still drinks plenty of water and milk and only really gets juice at meal times maybe once or twice a week so we were delighted when Peter Rabbit Organics asked us if we would like to try out their lovely organic fruit juices. Here is what we thought. The fruit juices we were sent come in a handy little 150ml carton which was great for throwing in the changing bag and buggy if we were going out and about and having lunch out with our house. They also come with their own straw which has a great design. The end you use for piercing into the carton has a slightly enlarge part further up so when you put the straw into the carton it'll stay in place and your child won't be able to pull it out either, genius! Logan has not quite got to grips with straws yet so we would pour his juice into a little sippy cup for him to enjoy and boy did he enjoy it. These little juices come in 3 different flavours; Apple & Grape, Apple & Blackcurrant and Pear. They contain no nasties and all 3 have added vitamin C for your little cherubs which is a great plus. Each juice contains just water and organic fruit juices from concentrate (plus the added vitamin C) so they are already diluted and ready to be used. I really like the fact that these juices have been made in a nut-fee factory so every child can enjoy them. They are also wheat, gluten and dairy free too. Peter Rabbit Organics 150ml fruit juices are suitable for 6 months+ but they also have larger juice bottles and cartons for older children which have a slightly strong blend of 50% juice and 50% water. So something to suit all ages really. Logan really loved these little juices and I gave them a taste myself just to see what they were like. They are not strong in taste at all and just have a hint of flavour which is perfect for really small children and will definitely save their teeth than some of the stronger juice drinks on the market. However older children might not like these small cartons as they do taste like water with a tiny hint of juice. I didn't like them but Logan seemed to love them so they get the thumbs up from him. 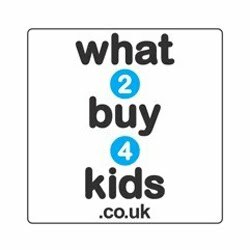 You can buy these delightful drinks for your own children from the following places; Asda, Morrisons, Sainsbury's, Waitrose, Ocado, Mamas & Papas, as Nature Intended, Toys "r" us, Planet Organic Market and Whole Foods Market. They retail for around 75p which is reasonable I think for an organic drink but could maybe be slightly cheaper. Overall Logan loved these juices, I think because he is used to drinking just water and milk he liked it that he could taste a little flavour. I thought they were too watered down for someone who is used to drinking juice however small children (6 months+) are just starting out on the juice scene so hopefully it will appeal to their tastes more. It seemed to with Logan anyway. Please visit www.peterrabbitorganics.com for more information and products. 0 comments on "Review: Peter Rabbit Organic Juice Drinks"